KATHMANDU, June 1: Apparently confused over how to resolve the Bharatpur ballot-tearing row, the Election Commission (EC) ended its board meeting Thursday without deciding anything. The meeting failed to resolve the row as the election commissioners are in a fix. Legally, they are obliged to go for re-polling in disputed wards. The commissioners, however, are in favor of resuming the vote counting, concluding that the ballot papers were intentionally torn up by Maoist Center representatives after losing any hope of winning. 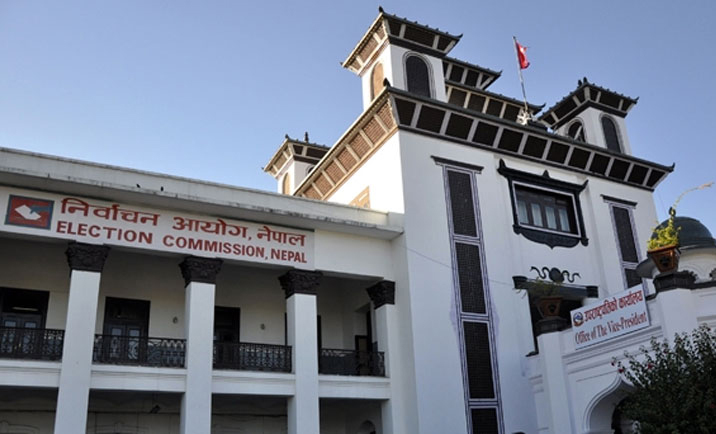 Also, the commissioners fear that the Bharatpur incident will set a wrong precedent if they instruct the local election offices to conduct re-elections in disputed wards. “We have not decided anything today. Let’s wait till tomorrow,” said Chief Election Commissioner Ayodhee Prasad Yadav after the meeting. The meeting, according to EC Spokesperson Surya Prasad Sharma, was postponed after just going through the report forwarded by the local election office. Following the EC’s directives, Kavi Prasad Neupane, chief electon officer in Chitwan, informed the election body that the Maoist representatives had torn up 90 ballots on Sunday night when the vote counting was about to be completed. Election commissioners say it will be difficult to manage future elections if a wrong precedent is set now. They might not even be able to complete the second round of elections. “Anybody will try to tear up the ballot papers if his or her party looks like being defeated. It will be really difficult to manage future elections,” said one election commissioner. Meanwhile, election experts have suggested that the EC amend the election laws, arguing that the election process might spiral out of control if there is a provision for re-polling whenever ballots are seized or tore up during vote counting. “This will have serious consequences. Elections may not be completed for months if party representatives tear up the ballot papers when they do not see any chances of winning,” said former chief election commissioner Neel Kantha Uprety. “It should be the EC’s prerogative to decide whether to go for re-polling or resume vote counting”. About the Bharatpur incident, former CEC Uprety said the incident was engineered out of ill intent and suggested the EC resume the vote counting, setting aside the torn ballot papers. “Vote counting should be resumed, leaving the destroyed ballot papers in a separate ballot box. And the candidate who secures a plurality of more votes than the number of destroyed ballot papers should be declared winner,” he suggested. The former chief election commissioner is in favor of giving the EC the prerogative of deciding whether or not to go for a re-poll when ballot papers are torn in course of vote counting. “Parliament is amending election-related laws with a view to bringing reluctant parties on board the election process. And this matter of the EC’s prerogative should also be dealt with right now,” he said.